The result is the era-defining documentary 2040 - a meticulously researched plea for the adoption of community-building, energy-generating, connection-forging, forest-renewing, ocean-replenishing measures that science tells us will reset our planet's health, drive our economies and improve lives across the globe. 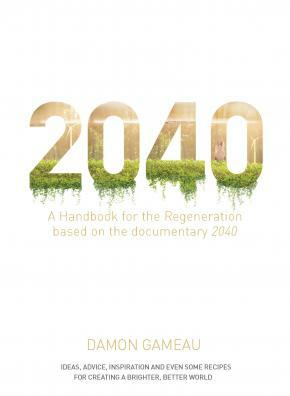 2040: A Handbook for the Regeneration shows us how we can stitch this magnificent vision into everyday life by engaging in activities such as cooking, shopping, gardening, sharing, working and teaching our kids. It shows us that climate change is a practical problem that can be tackled by each of us, one small step at a time, and that we can make a genuine difference - if we know what to do.